Martin Keown insists that Chelsea boss intentionally made his criticism of his players openly so as to earn a solid response from the team. After the loss to Arsenal at the Emirates on Saturday, Maurizio Sarri requested for an interpreter to be available in his post-match briefing, with the goal that he could give his briefing in his native Italian. The Chelsea manager did as such, by methods for making his disappointment over Chelsea’s thrashing perfectly clear. 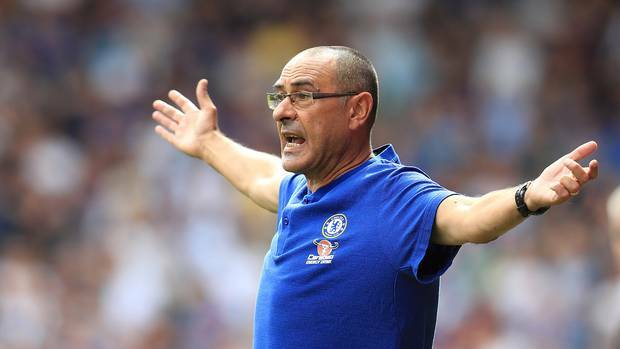 While this seemed unconventional to many; Former Arsenal player Martin Keown has claimed that Sarri took his outrage public deliberately, as to draw an increasingly unequivocal response from his players. ‘Sarri has deliberately gone to war with his players. Former Arsenal boss George Graham was open in the dressing room – it would be a war zone if he wasn’t happy…Sarri seems to be thinking, ‘OK, they won’t listen to me in private, so I’ll dig them out publicly’. He’s gone for broke. It stays to be perceived how the Chelsea players will respond to this outrageous methodology from their manager. In spite of the fact that there isn’t much time to squander, as the second leg of their Carabao Cup semi-final with London rival Tottenham is seemingly within easy reach.